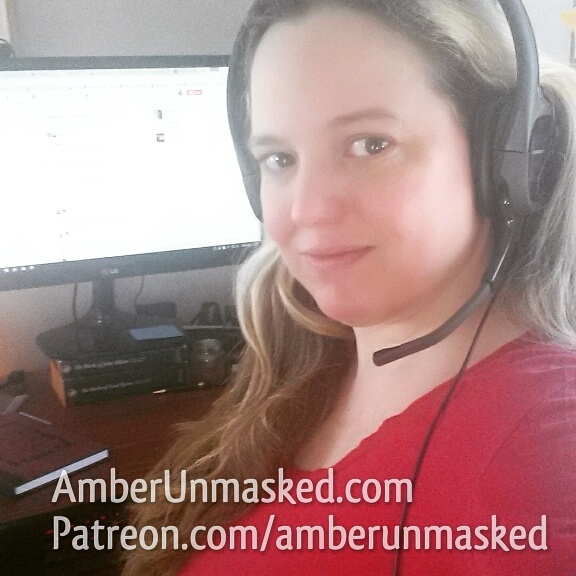 AMBER LOVE 18-MAY-2015 Now you can sponsor Vodka O’Clock and AmberUnmasked.com through PATREON. 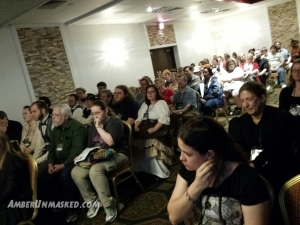 Just go to Patreon.com/amberunmasked to pledge as little as $1.00 per creation which could mean per Vodka O’Clock episode or through written content. 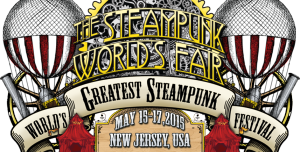 This episode is a recording of the lecture from Steampunk World’s Fair with Chris Semter of the Poe Museum. TRIGGER WARNING – mention of suicide (about 35 min mark). Download on iTunes, Stitcher or listen here. Some things to bear in mind is that this was recorded at an event where there’s a lot of audience chatter and noise but it’s mostly quite a clear recording once things got underway. 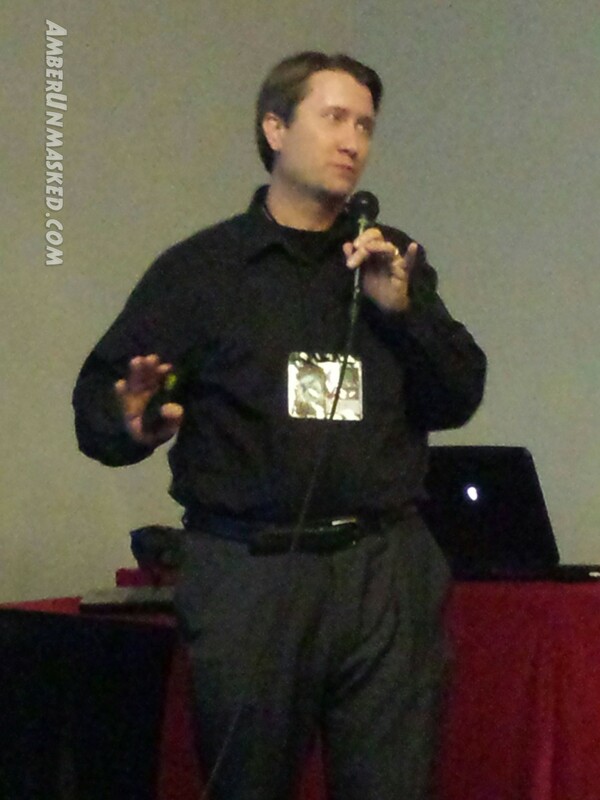 Chris Semtner was one of the few speakers who utilized the microphone setup so I believe you can hear him well in this episode. The unfortunate part is that he was also using a slide show which is a component missed, obviously, in an audio podcast. I highly recommend catching any of his future lectures or tours. Semtner gave some wonderful historical background about what death and mourning rites were like. He was a great public speaker with a sense of humor and clearly prepared for this lecture. The slides were helpful visuals. The differences in how men and women mourned opened the conversation. Dangerous medical and faux medical treatments like mercury pills and common causes of death like tuberculosis were explained. Poe’s life in Richmond and the devastating Richmond theatre fire were a dramatic part of Semtner’s lecture. Here, we got to learn about Poe’s “scandalous” mother who dared to be an actress. 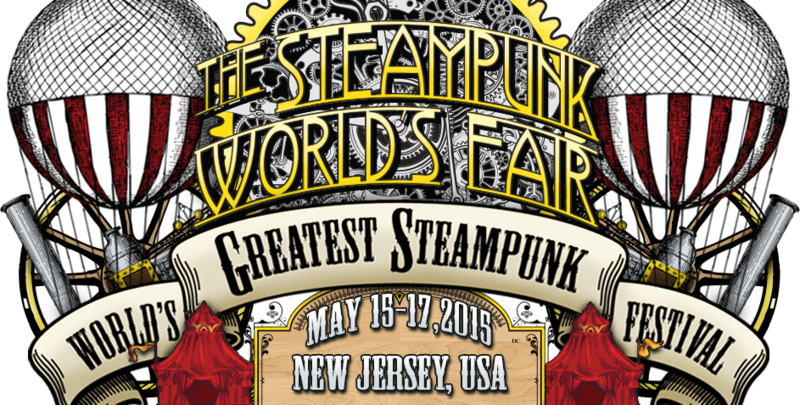 Long before FOOTLOOSE, fun activities were banned in certain American cities. Richmond banned acting and anyone caught doing it was fined $6.66 and the town decided not to rebuild the theatre for eight years and on a different spot. On the site of the theatre, a church was erected. The victims of the fire were buried in a mass grave beneath it. The church is only functioning as a historical site now. This month on Facebook, I saw someone post about how upset they were by parents posting photos with their stillborn babies. I didn’t think this was done today, but apparently deathbed portraits are still a thing. The babies are dressed up and the mourning parents take pictures. 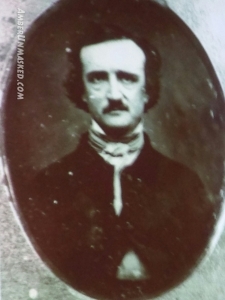 In Poe’s time, these deathbed portraits were either artist renditions or photographs. 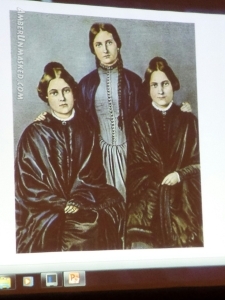 Along with portraits, some of the mourning practices included dressing in certain black clothes for a length of time and reading a lot of depressing poetry from books about death. Poe’s coffin and grave were not fine quality originally. Eventually people raised “Pennies for Poe” to move him to a nicely marked grave; however, while moving the body, the coffin fell apart. People have bits of the coffin and locks of Poe’s hair as mementos. Semtner did a fantastic job giving all the women in Poe’s life their due. He wasn’t legally married to all of them and some were affairs. His sister, mother, mother-in-law, and lovers held places of reverence and importance to Poe. Poe’s first love, Jane Stith Craig Stanard was 31 when she met the pubescent 13-year-old Edgar. His poem, “To Helen,” was about her. He was quite obsessed with her and even took his wife to visit Jane’s grave. This was the prominent time for spiritism. One of the women in his life was a fan who struck up an unusual relationship with him. After his death she had a medium live with her for six months so she could continue to communicate with him. She eventually became a medium herself who channeled poems from Poe after his death. Mysterious people have carried on a tradition of leaving roses and bottles of cognac at Poe’s grave on his birthday at Westminster Hall and Burying Ground in Baltimore. “Mansplaining in Comics.” My thoughts on Denver Comic Con’s “Women in Comics” panel.